9:30 a.m. 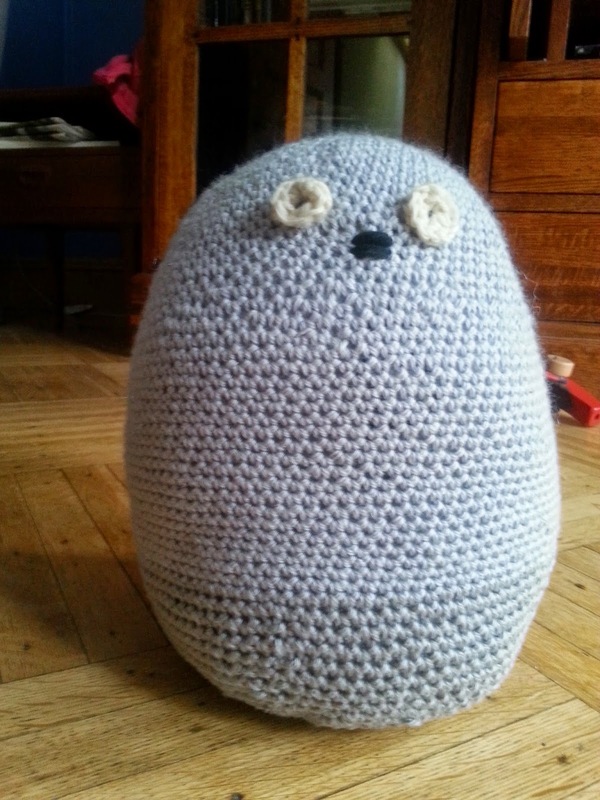 I have to make three totoros for Willow's cousin Francie in three days. I can do this. Oooh, the amirigurumi one is so cute! I want to make that! 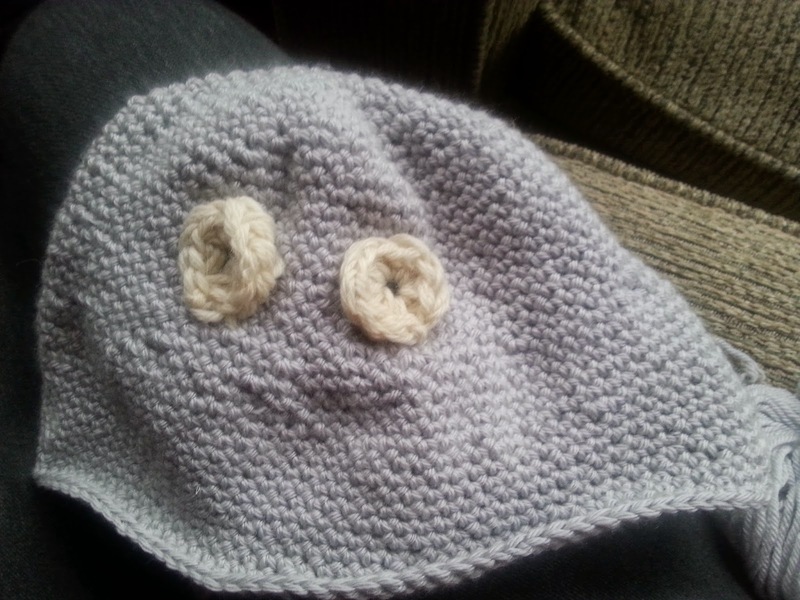 I can kind of spin and kind of sew, surely I can kind of crochet! 9:45 a.m. Okay, I don't have the exact right yarn, but if I hold this one double it'll work. 9:50 a.m. Uh. It's kind of hard to pull two strands at a time through without getting confused. 10:15 a.m. How the heck do you know where the end of the round is??? I'm using a safety pin. 10:22 a.m. Even with the safety pin I can't really tell. 10:45 a.m. 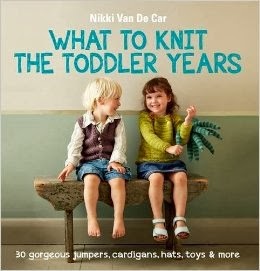 This sure uses up a lot of yarn. 11:10 a.m. I'm totally going to run out of yarn. Dangit. Also this thing is going to be HUGE. This is just the top of the head. realistic. It will also be smaller. 12:09 p.m. Much better. 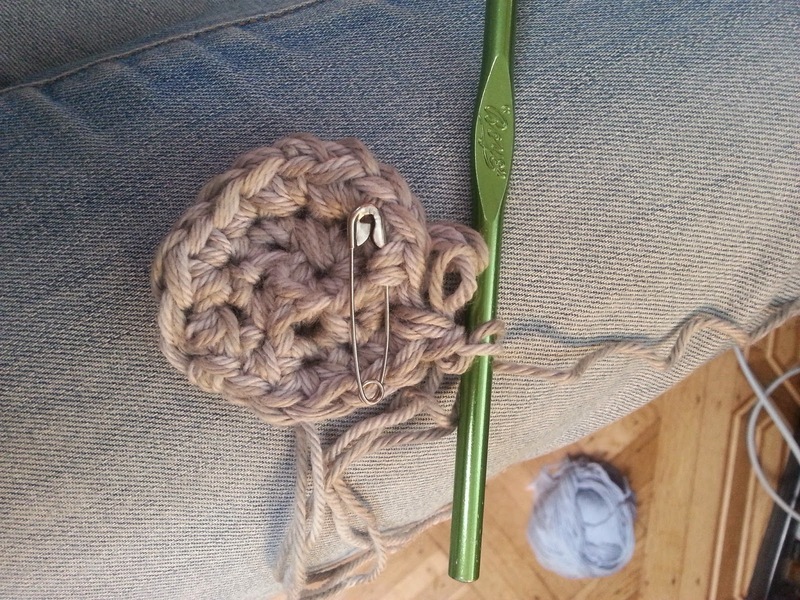 And much easier using only one strand of yarn! 12:20 p.m. Uhoh. This is taking a long time. 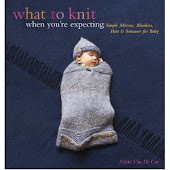 I might still run out of yarn--and that CANNOT HAPPEN. 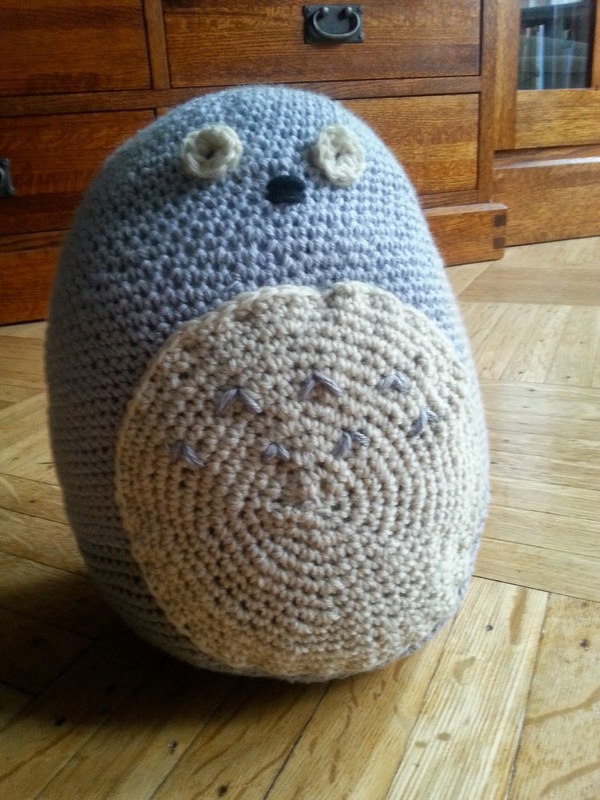 2:00 p.m. OHMYGOD this is going to be the biggest totoro in all the land. 2:10 p.m. Oh duh. This is his whole body not just his head. WHEW. 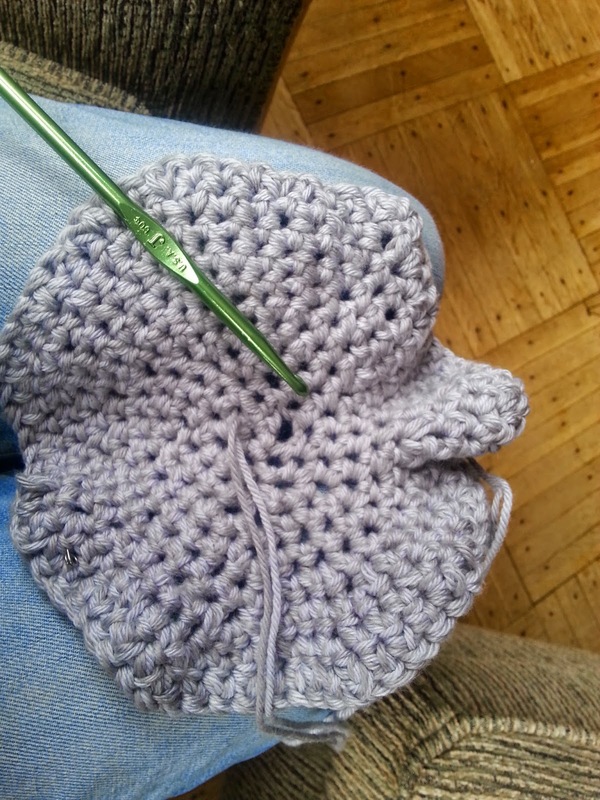 10:45 a.m. Crocheting uses different parts of the fingers than knitting does, and so my calluses are useless. I'm getting a blister. Wah. 12:00 p.m. I still can't figure out where the end of round is, by the way. This is taking FOREVER. I should have started this weeks ago. I thought this was a one-day project, tops. Time to wrap it up. Progress! I have made an egg with eyes. It looks kinda freaky. I'm just sayin'. Day 7 Now it looks like a freaky bunny. Maybe the tail and legs will help. Day 8 Only sort of. Well. 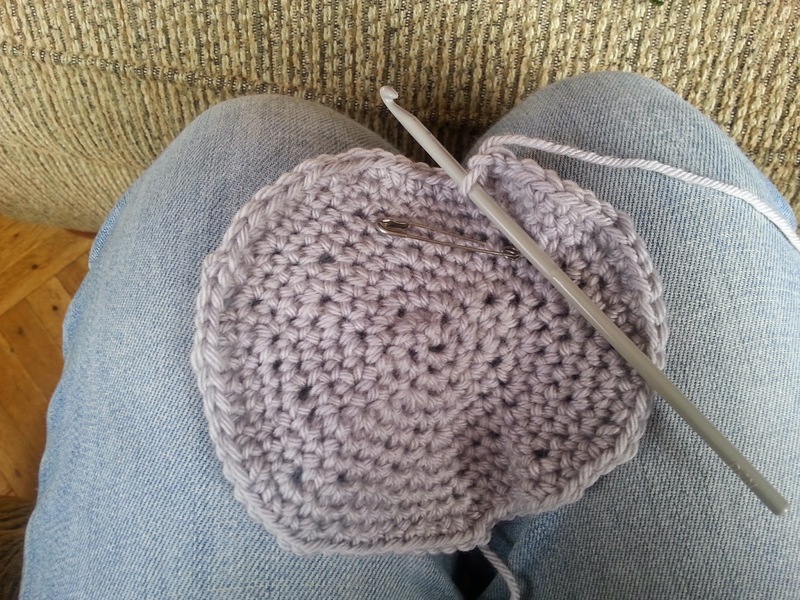 I am now SUPER COMFORTABLE with single crochet. 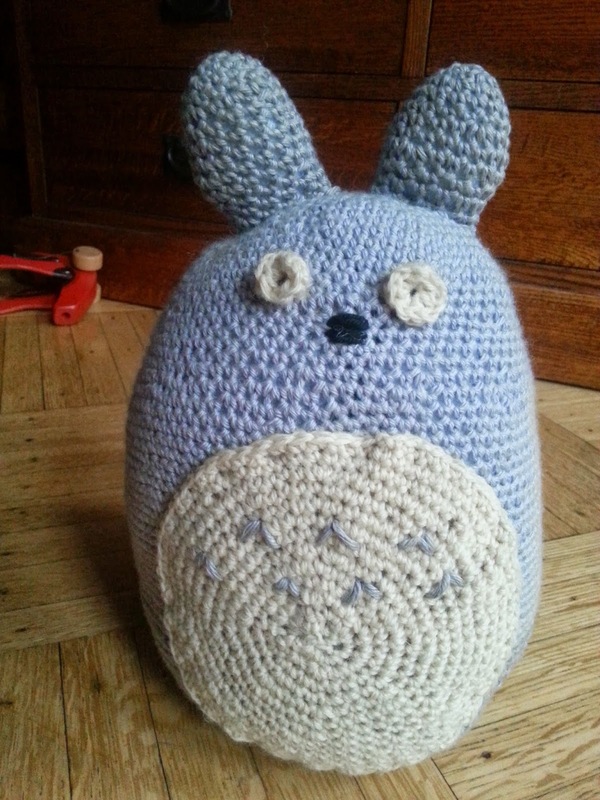 I have MASTERED single crochet, having made a nine-inch-tall totoro/freaky bunny. Although I never really figured out how to tell where the round ended. 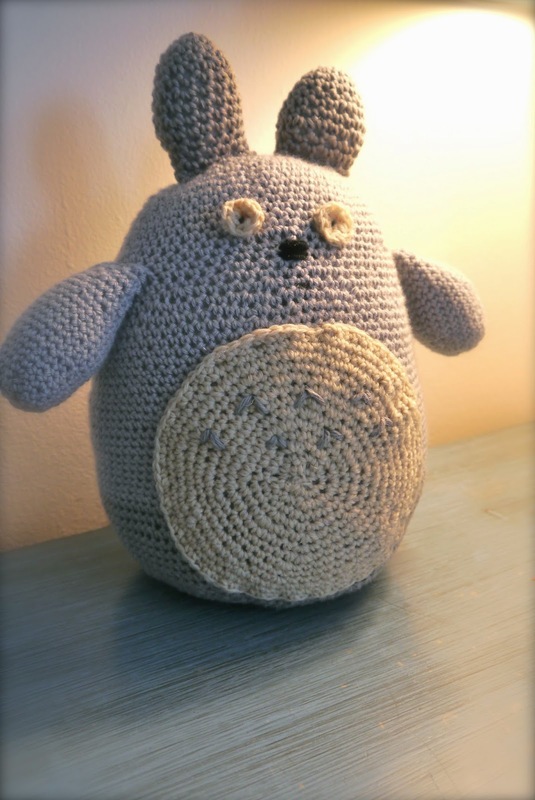 And here he is with his knit totoro family (you can see why I wanted to switch to crochet this time around. They look a little worse for wear. The cat really likes them, you see). Oh well. Merry Christmas, Francie! That is exactly why me and crochet can't be friends! Unless it's a blanket I can't ever figure where the end of the row is!